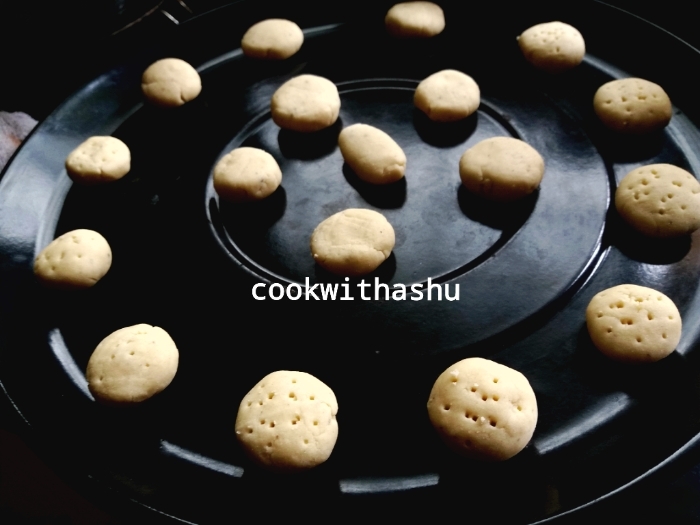 A melt in mouth Eggless cookies….. 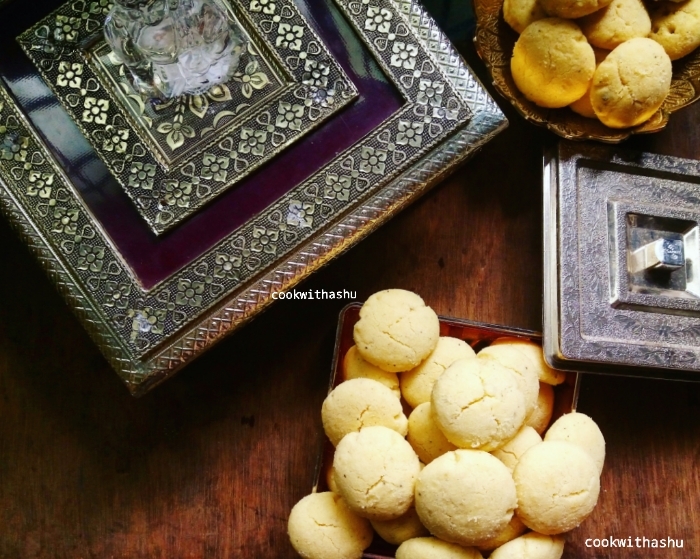 This easy to make crunchy sweet cookies were my child favourite and my Mom’s speciality cookies ,she used to make it very often when guests visted us or for distribution during some celebration or birthdays…. 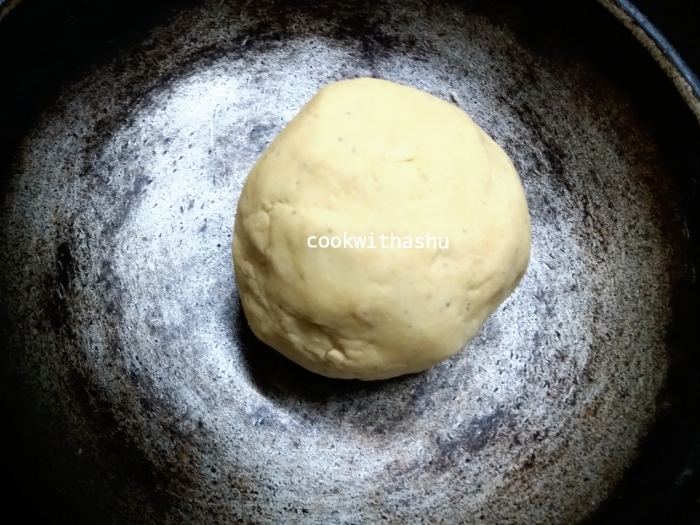 ▪Heat pan and add vanaspati,when it starts melting switch off flame and allow it to completely melt in its own heat present and allow it to cool..
▪place them on a baking tray with enough space in between each nankatai and bake them in a preheated oven at 180deg for 20-25 minutes or till done..